On to the tartines! I was introduced to lovely tartines when I lived in France. The French have such a fancy name that rolls off the tongue and elicits images of elegant food. Really, they're just open-faced sandwiches, but the French do it with such flair. Open-faced sandwiches in the U.S., at least in my experience, are often piled high with meat and smothered in gravy or sauce. Not so in France--they are delicate sandwiches, usually made with simple ingredients that meld together perfectly. 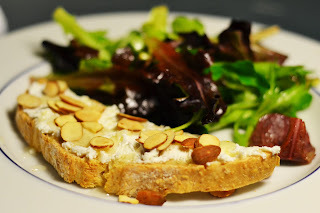 On Valentine's Day we recreated our favorite tartines from one of our favorite restaurants in Strasbourg, L'Épicerie. It is located such a quaint little space where you really get to know your neighbors (or at least their elbows!) and is combined with affordable (which is hard to find in Europe!) and delicious fare. My daughter would always order the smoked salmon while I would order the goat cheese tartine. Ahhhh...the memories! These sandwiches are great as a meal if paired with a salad or would be great cut up into bite-sized pieces and served as an hors d'oeuvre. Feel free to be creative with your toppings--the French certainly would! Spread a little bit of crème fraiche onto the bread. (A little goes a long way.) 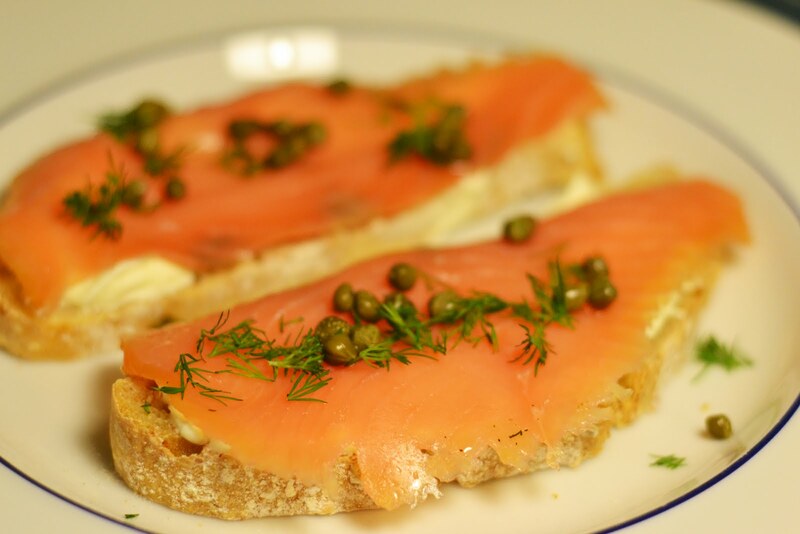 Lay the salmon on the bread and sprinkle with the dill and capers. Enjoy! Spread the goat cheese onto the bread. Drizzle the honey over the goat cheese and sprinkle with almonds. Enjoy! These sound fabulous! I've been meaning to try making some tartines myself - I'm especially drawn to the smoked salmon one. Just moved it higher up on my mental to-do list! 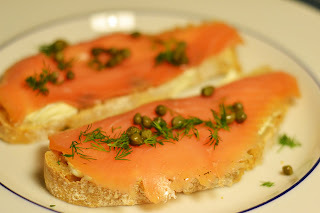 I had a tartine similar to the smoked salmon one when in Ireland and it was topped with a mango chutney. Amazing! Now I have to try this goat cheese combo. Sounds like a wonderful combo of flavors! I love these. We had a tartine restaurant at my job for a couple of years. We actually imported the bread from France daily. This looks good and they really are great paired with salad and a glass of wine. You can know the steps to choose a good food slicer with help of the post here. Complete Satisfaction Guaranteed. . .Service Available In: - 24/7 Home & 3 * 5 *7 *Star Hotel. Call 24x7 Now ARPITA +91- 9899819472 Big & tall Delhi University gorgeous Punjabi college girl Please come & enjoy with tall & big gorgeous Punjabi DU girls who will make your day special with their beautiful face & body. Apart from sexual satisfaction you will have the opportunity to chit-chat with these romantic college girls. These girls are not a regular professional call girls. Delhi & Several nearbywww.neetupandey.com hot places of Delhi and many of the top places around the India. professionalism, reliability that you require. your town is as discreet as possible, to www.neetupandey.comallow you great level of comfort. company for a mid-week night, www.neetupandey.com we’ll be able to take care of your every need. Thank you for the information, hopefully useful and successful always, in waiting for further information. Are you searching for a Best Mobile Training Institute in Delhi? Then Contact 9990879879, ABC Mobile Institute of Technology which based in nirman Vihar near V3s mall. Become certified experts in 60-90 days. Do a job or a business, we also provide 100% placement assistance. Enroll now and get 40% discount. Contact us now at 9990879879. Thank you so much for such a precious article. really appreciable blog. please keep sharing.